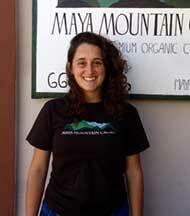 Maya Granit ’11 is the managing director for Maya Mountain Cacao in Belize. In the past four years, Maya Granit ’11 has watched her career transform from placing stickers on chocolate bars in a California factory to helping direct a company that raises cacao farmers’ wages in rural Belize. After graduating from Dartmouth with a history degree, Granit moved to San Francisco to work for Dandelion Chocolate, an innovative company that sourced its cacao beans from organic Central American farmers. During her first role of adhering stickers to chocolate bars, Granit devised a new candy wrapper that decreased packaging costs by 30 percent. 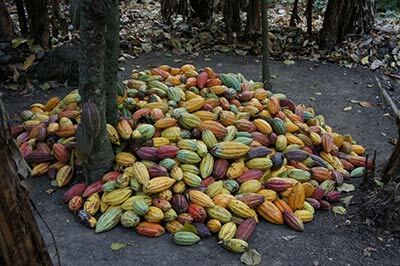 Her employers took notice, and soon Granit was learning about the process for sourcing cacao during a three-week trip to Belize. VIDEO: Learn about Maya Mountain Cacao’s relationship with one specialty chocolate maker. Granit’s undergraduate experience as a volunteer for MEDLIFE, a Dartmouth student organization that established medical clinics in rural villages in Ecuador, gave her some familiarity with Central America.